At the start of this year I was thrilled to be involved in an experimental art exhibition called "Intermission". 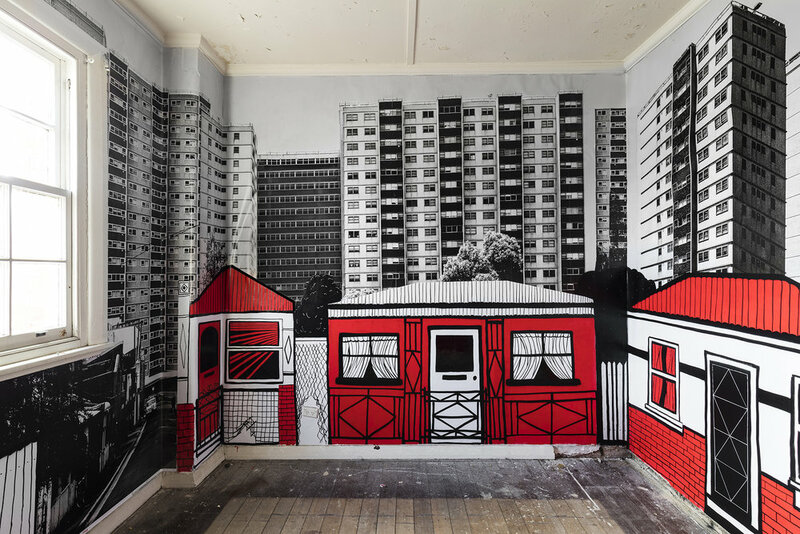 The exhibition was held in an abandoned school in Collingwood, Victoria and over 30 artists took over the walls, floors and spaces of the schools to do their artwork. I centred my collaboration piece with artist Tom Gerrard, on the surrounding Housing Commission Buildings. Showing with the photographs how they stand now, and with Tom painting the houses that stood 100 years ago in the same position over the top.